If you are up to date with your right-wing politics then there are no points for guessing that this was Richard Spencer. Despite being white-supremacist waste, his illustration of the subconscious rejection of a black Bond is bang on the money. For many, though not all, I would wager that it is the remnants of Empire and European power still present in James Bond’s character that attach them to the importance of his white identity. And a subversion of that identity, through the replacement of a white European figure with a black African one, is something to oppose. That is not to say that those who disagree are simply alt-right racists, but that nostalgic feelings towards empire and a dislike towards those who threaten it (sjws, far-lefties etc…) may explain the rejection. This is supported when one looks at the construction of James Bond through the pen of his original author, Ian Fleming, who based the character upon the commanders and agents he had known during his time working for the naval intelligence service. His name, even, (which was taken from a well-known bird watcher at the time) was chosen for it being ‘brief, unromantic’ and ‘anglo-saxon’. He was to be ‘an anonymous, blunt instrument wielded by a government department’, who was not exotic, but who ‘exotic things would happen to and around’. Bond’s whiteness, and therefore his attachment to the British state, was integral to the fundamentals of his character. He was not to be eccentric, or original, but was to navigate eccentricity and exoticism in environments that contrasted with his plain, English nature. 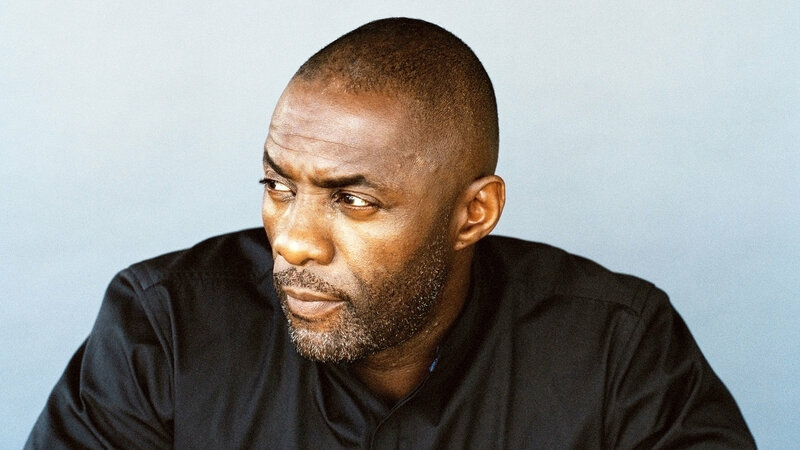 To supplant him with a black man like Idris would, in the history of the western canon, reverse the role by placing the exotic at the centre. There is something in the minds of Europeans that places those outside of it well beyond the reaches of its civilisation, and that extends into today. To Hopkins, and Spencer, a black man in incompatible with white Britishness. Now, for someone who retains some nostalgic feelings for those times, the replacement of a man who embodies it with one who doesn’t will only feel like an attack. Again, this is not often done in a conscious way, but it is still there. We all know, or may be, one of those people who sits in opposition to those named the ‘libtards’, and sometimes that opposition can draw a person further into an idolisation of what this enemy opposes; even if, as is the case with Bond, it may be justified. To somebody else, the thought of having a black Bond, whilst being very different, is not a big deal. But to someone who is always on the lookout for ‘the lefties’, and who enjoys a more traditional, conservative culture; this will be nothing but an infringement. Though the conservative minded are not completely wrong, of course, for my view of Bond is laced with his imperial attitudes and so to change him into someone who defies canonical Britishness would, in my opinion, be entertaining as well as rewarding. You may scrutinise my view, and you would be right to do so, as you could argue that the link between the old, book-bound Bond and the new, movie-based one is tenuous; or, that in the modern day the imperial whiteness of Bond is something of the past, and whose new persona could easily fit into a black role. I would love to hear about this in the comments. Do you believe that Bond and whiteness are still interconnected? Do you think those that opposed Elba’s suitability for the role did so based on an sjw-prejudice or a genuine romanticism of the past? To me, it’s a mixture of both; a culture war of sorts, where the new has begun to gain ground. ← Exclusive Preview: Soho SoulTown @ 100 Wardour St.